Karters understand the challenge or maintaining consistent lap times and outside of the driver, the largest impact will come from the tires. But instead of making sure the tires are always the same, lap times are best maintained and improved when tires are adjusted to machine and driving conditions. Manufacturer recommended tire pressure is usually given as a range. While it is not recommended to go outside this range, where tires are run within the range is dependent on personal preference and the weather and track conditions. Temperature – lower the pressure slightly as the temperature rises to maintain the grip on the track. Road surface – lower the pressure slightly when there is lots of rubber residue on the track. Wet conditions – switch to wet tires and switch back to slicks as soon as possible. If you can’t get back to the slicks as the track dries out, lower the pressure in the tires to get better grip. A good indicator is the kart itself. 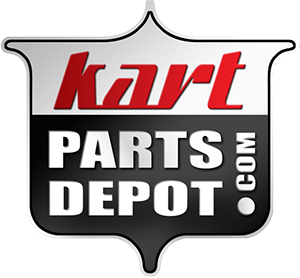 When tires need to be replaced, the kart may not feel as smooth or controlled around the corners as it does not grip the track as well. For car tires, the easy rule is to place a penny in the tread and use Lincoln’s chin as a tread wear indicator. That obviously does not work on slicks like on automobile tires, so many kart tires come with small holes in the tread to indicate how much rubber has worn off. If your tires have this indicator, pay attention to it, because it will tell you when it is time for some new tires. You should replace tires every 2-3 seasons. In this situation you will be always confident in safety of your car on the road. I prefer https://www.myzdegree.com/tires/brand/goodyear.